Hello. Happy Thursday friends! As some of you may seen on Facebook already, I'm considering doing a mini session day in studio for grown ups. I've had so many people tell me how desperately they need new professional images for their business pages. Let's face it the iPhone doesn't work for everything. 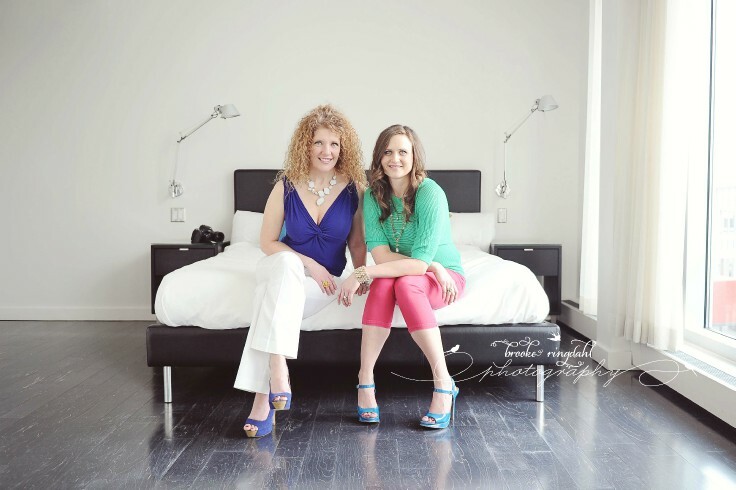 Meet the two gorgeous ladies behind Blush Boudoir Photography. I recently photographed them for their new website. These women are fine, fierce, and fabulous and it was an honor to be asked to photograph them. This, my friends, could be you. Looking fabulous in photographs just give me a call and I'll take good care of you. All images are created and coypright of Brooke Ringdahl Photography.